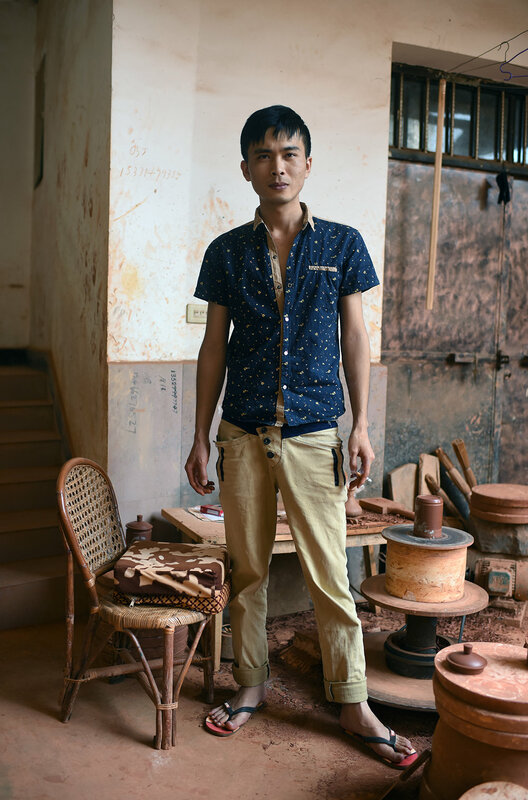 Pan Juan, Inheritor of Purple Pottery Intangible Cultural Heritage, Jianshui, Yunnan Province. 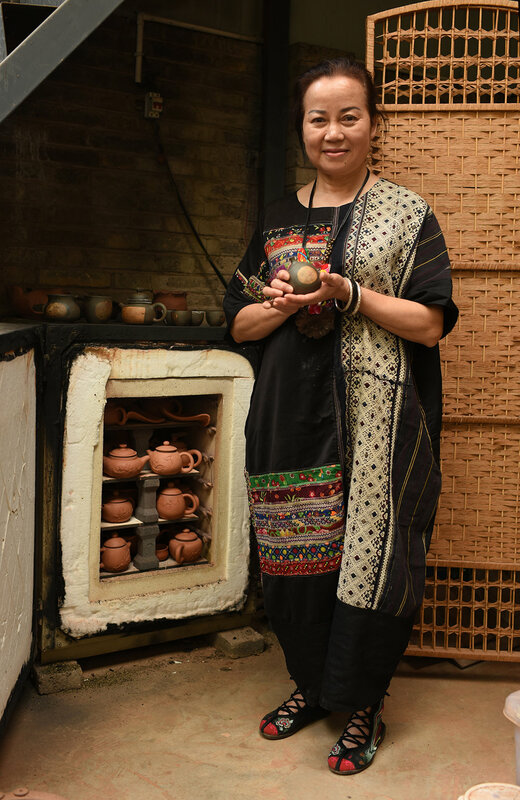 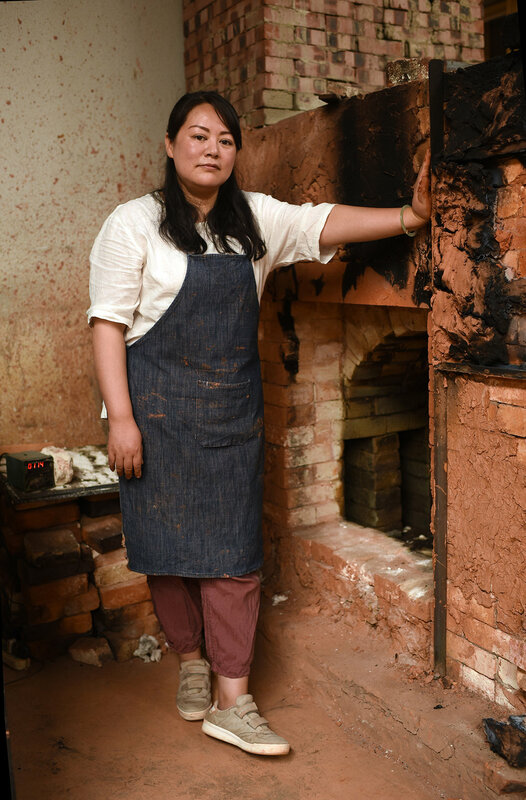 Li Fen Yu, Inheritor of Purple Pottery Intangible Cultural Heritage, Jianshui, Yunnan Province. 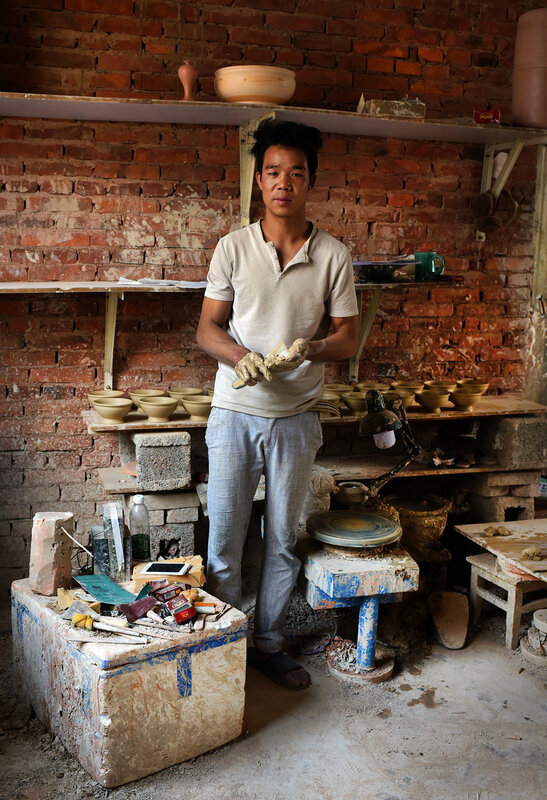 Tan Zhi Fan, Inheritor of Purple Pottery Intangible Cultural Heritage, Jianshui, Yunnan Province. 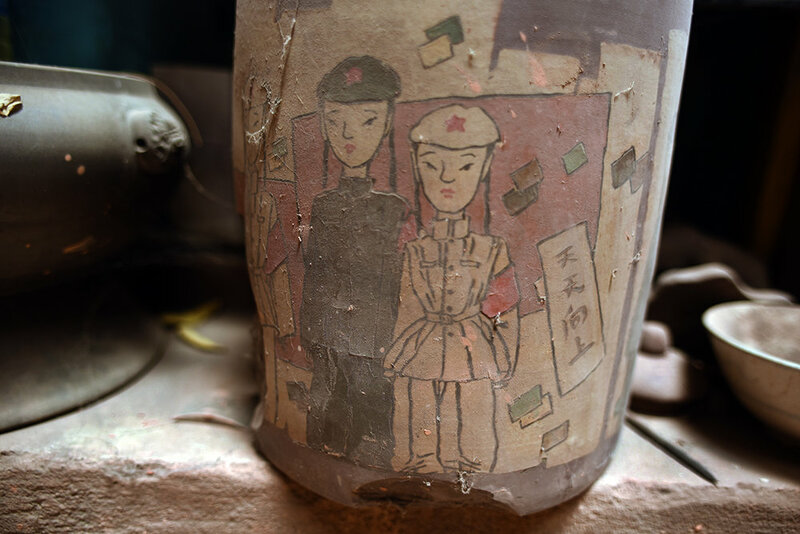 Tan Zhi Fan, Inheritor of Purple Pottery Intangible Cultural Heritage, with his daughter. 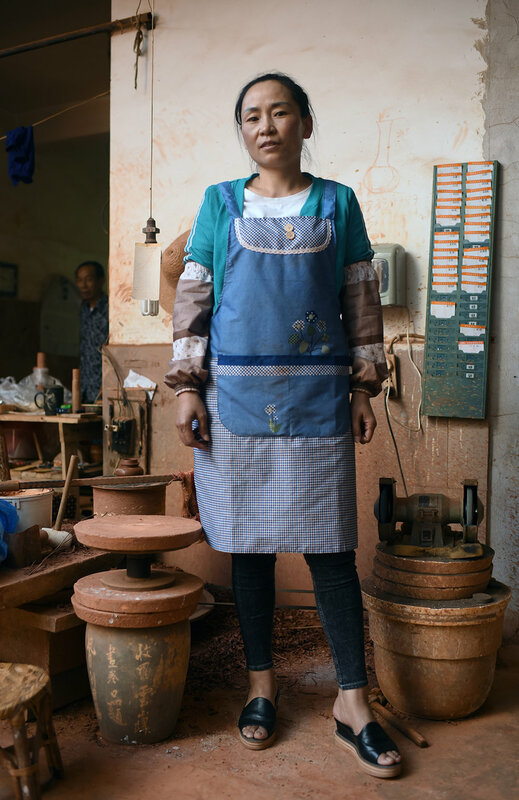 Jianshui, Yunnan Province. 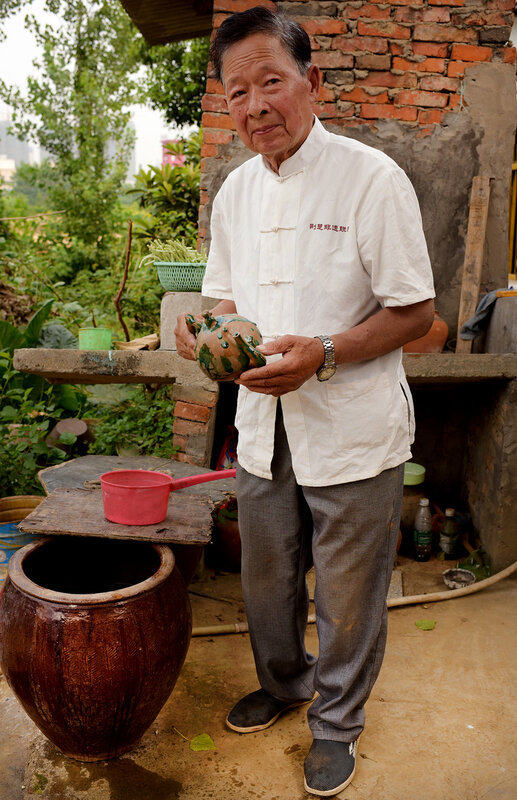 Mu Zhong and his wife Qing Fang, Inheritors of Purple Pottery Intangible Cultural Heritage, Jianshui, Yunnan Province. 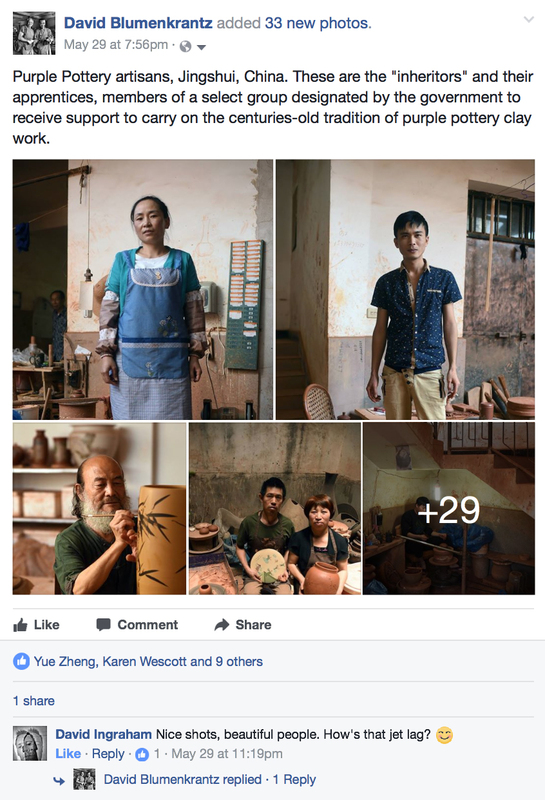 Public pottery workshop run by Pan Juan, Jianshui, 2017. 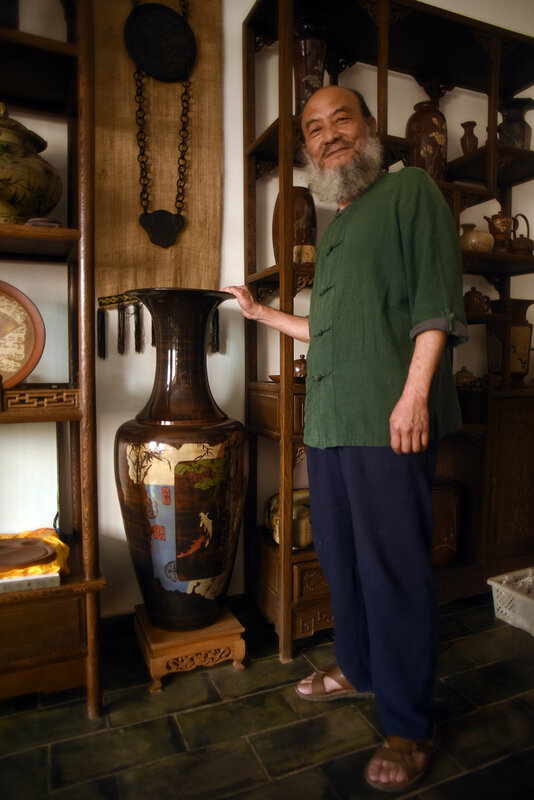 Chen Shao Kong, Master and Inheritor of Purple Pottery Intangible Cultural Heritage, Jianshui, Yunnan Province. 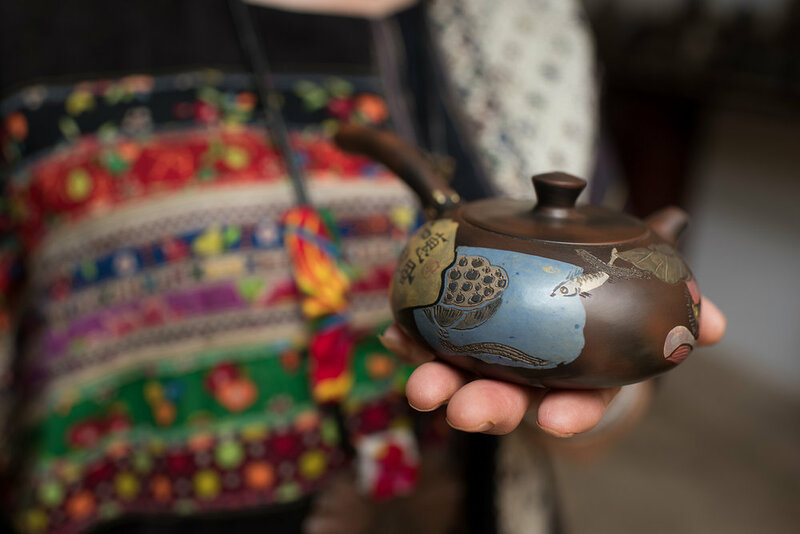 The work of Li Fen Yu, Inheritor of Purple Pottery Intangible Cultural Heritage, Jianshui, Yunnan Province. 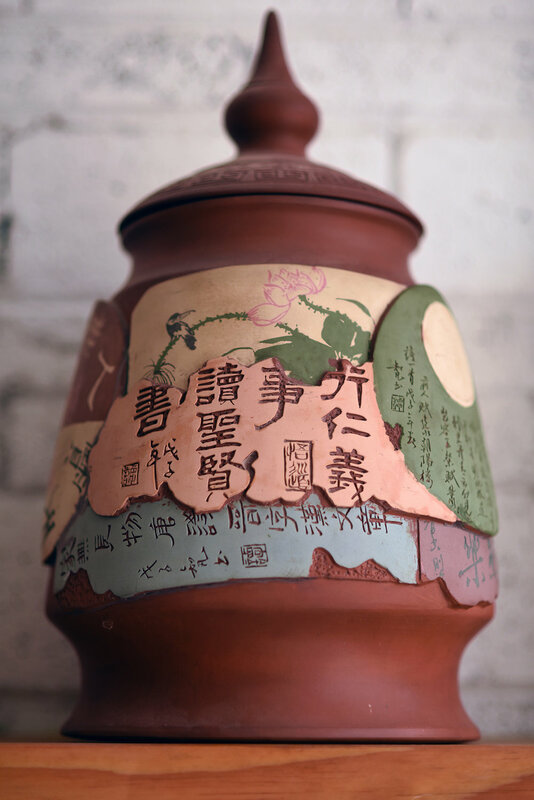 The work of Tan Zhi Fan, Inheritor of Purple Pottery Intangible Cultural Heritage, Jianshui, Yunnan Province. 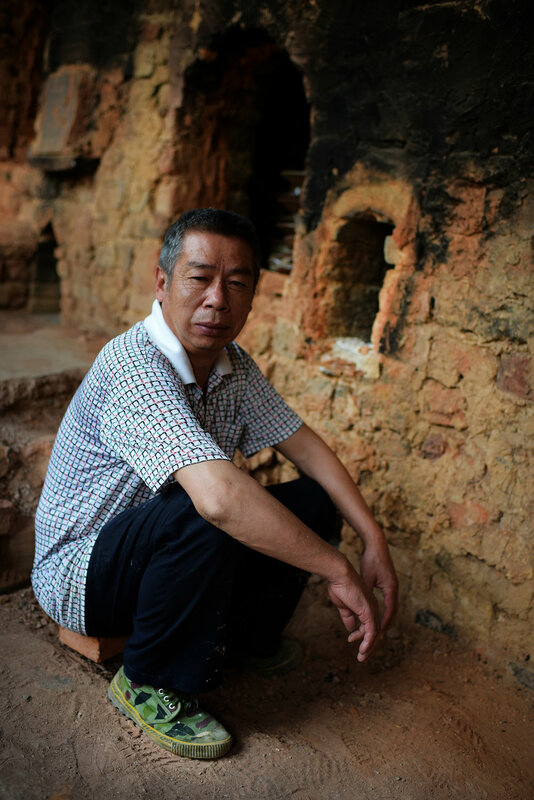 Inheritor of Hua Ning Pottery ICH, Wanyao village. 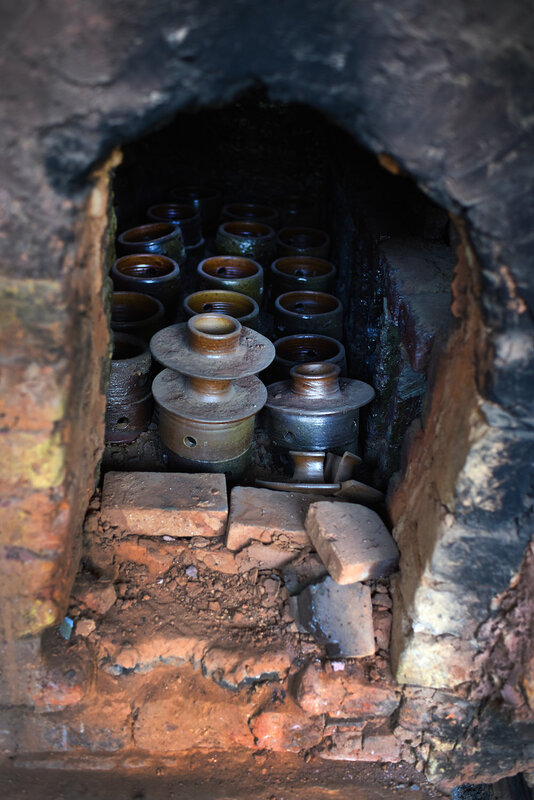 Multi-oven kiln used for Hua Ning pottery, Wanyao village. 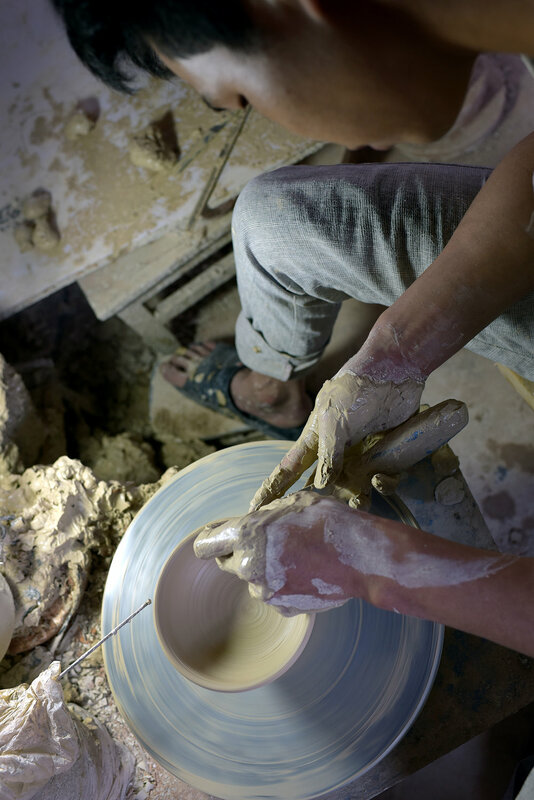 Against the backdrop of JIngzhou city, the workshop and kiln of Xia Yugu, Inheritor of ICH pottery. 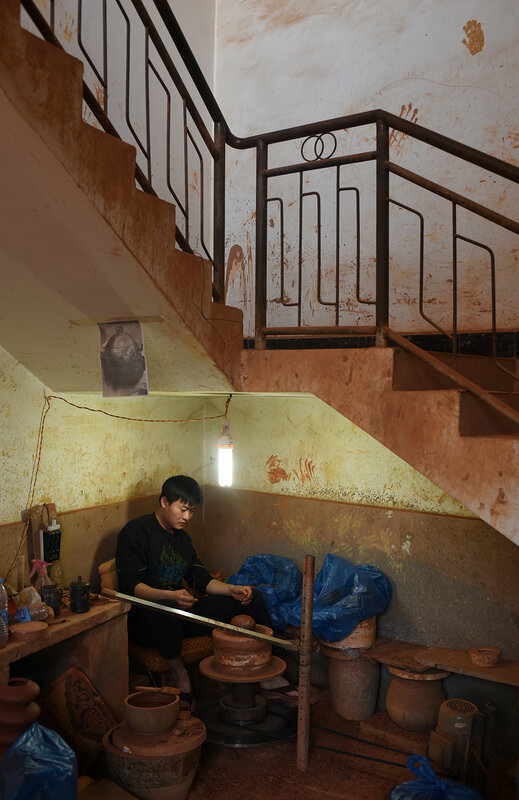 The compound of Xia Yugu is both a source of the soil used to make his pottery and a repository for old, incomplete works. 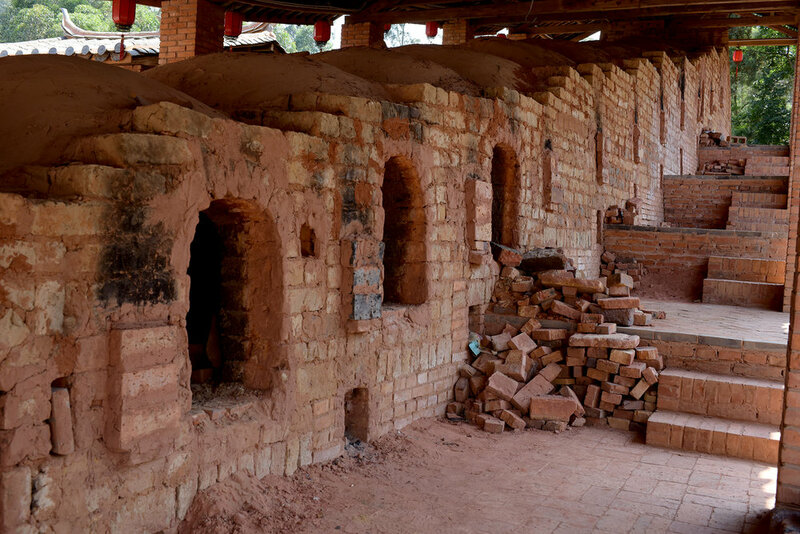 The workshop and kiln of Xia Yugu, Inheritor of ICH pottery, Cao Shi village, Jingzhou.